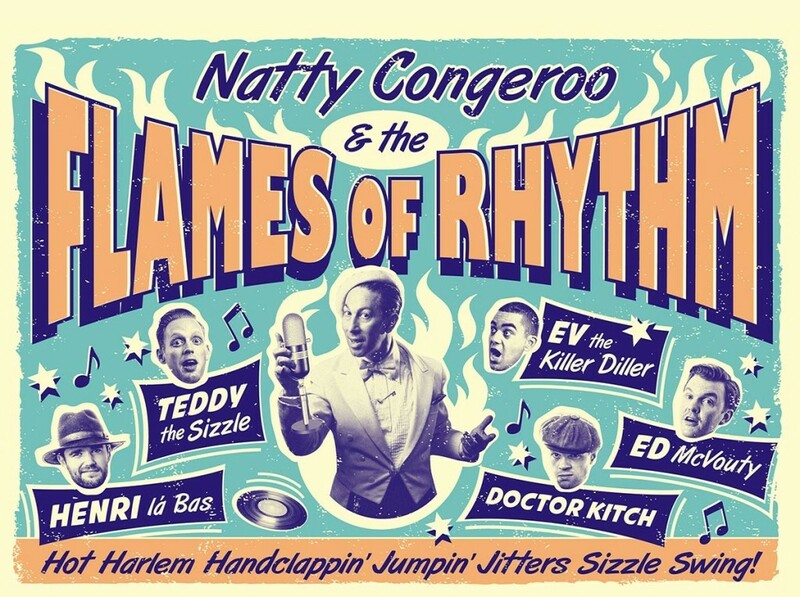 Natty Bo, director, producer of Ska Cubano, a DJ, songwriter and currently singer of the major London Ska band Top Cats and now Natty Congeroo & The Flames of Rhythm. Wearing a blue zoot suit with wide lapels and an open-necked shirt, Natty Bo looks as if he has just walked off the screen of a cinema showing Our Man in Havana, or another film set in pre-Castro Cuba, in which he plays the fixer, the man with an answer to every problem, whether you need a fake passport or a doctor who’ll treat your gunshot wound without asking how it happened. 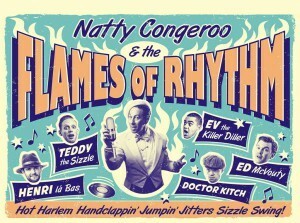 In his version of real life, Natty Bo is a DJ, singer, and leader of at least two bands, Ska Cubano Natty Boand The Top Cats. Both bands play music with a ska beat, one featuring songs in Spanish and flavoured by Cuban and Colombian rhythms, the other in English and twinned with American R&B. After finishing tonight’s bout of Radio Ping Pong, Natty had less than thirty minutes to get to Victoria station and (I hope) catch the 10.00 pm train to Brighton, fifty miles away, where he was due onstage with the Top Cats soon after 11.00 pm. Although the programme followed the recent release of Ska Cubano’s second album ¡ Ay Caramba !, Natty’s vinyl selections were closer to the Top Cats’ repertoire. But I dont play Disco House Techno trance rock pop rave etc.